We all know it’s coming – a major change to the Department of Labor Fair Labor StandardsAct is scheduled to go into effect December 1st, 2016. We know that the FLSA applies to organizations of all structures, but will it impact nonprofit organizations differently? 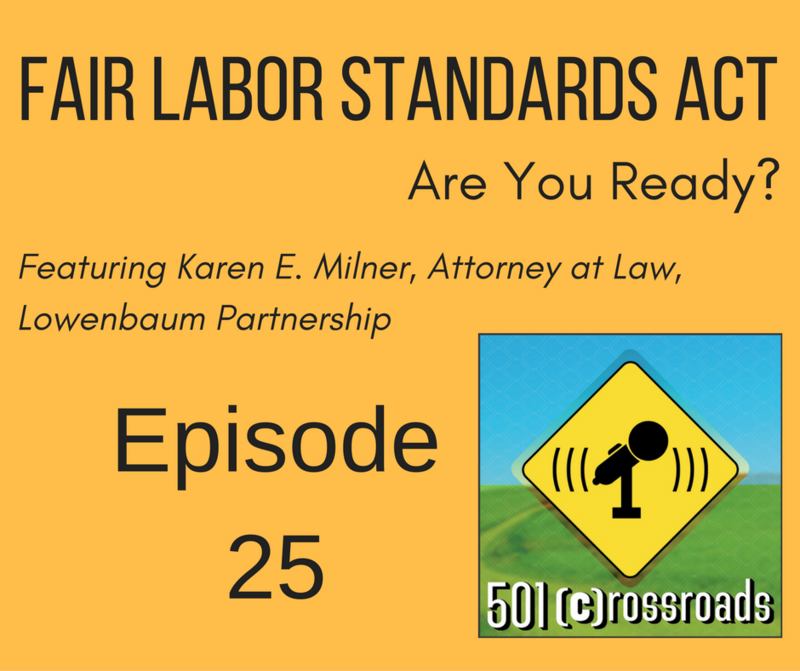 Recognizing that many nonprofits do not havean internal human resource office or perhaps even a human resource specialiston staff to help us manage our compliance with FLSA, Karen E. Milner with Lowenbaum Law out of St. Louis, Missouri stopped by the show to break it all down for us. See Karen in person on November 15, 2016 for even MORE information. Check out: http://bswllc.com/event/overtime/ for more details about this free training. You can email Karen for more information at kmilner@lowenbaumlaw.com.